Went to the beach and realized you have too many things to carry? Well, you certainly have. Anybody can be a little too excited when it comes to sands and beaches as well as the stuff we need to carry for the activity. We occasionally like our comfort a bit too much – why would you settle to sit on a towel when you can bring a beach chair and sit on it. And then there’s the matter of bringing drinks, food, sunblock, balls, an umbrella, and extra towels. And it gets worse if beach day is, in fact, a family outing. On the whole, prepping for the activity can be a huge business. With all these things to carry on your back, you will already be salty and wet before you even dive into the water. How do you make a solution to this problem? The answer is quite simple, and we are here to help. You have to purchase the best beach wagon on sand, which is nearly invaluable for beach outings, as they frequently come with abundant capacities and are effortlessly stored when not in use. So, let’s unveil our top five contenders. 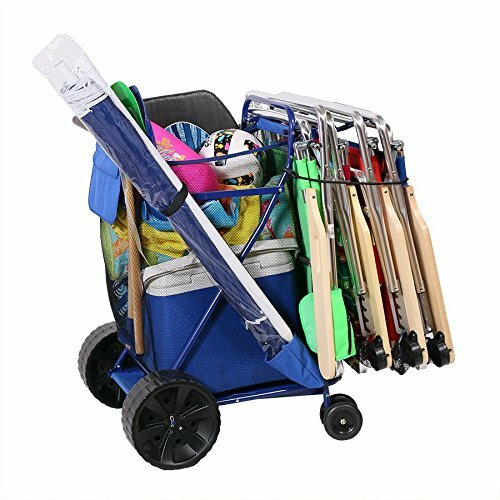 Capacity – You’ll want a beach cart that can hold a lot of gear, and can fit strange shaped items like umbrellas, coolers, and folding chairs. 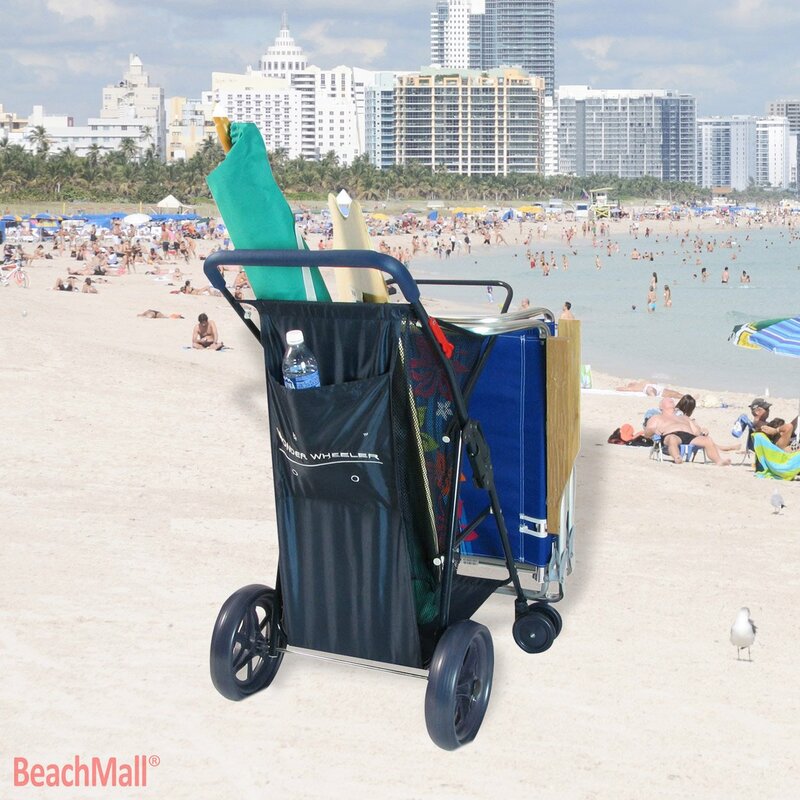 Durability – It is going to spend too much time under the sun if you’re one of the fortunate ones, so you’ll want a beach cart that’s durable to the sun and the usual wear and tear. Maneuverability - User-friendliness. This is important when buying a beach cart. Navigating roads, rocks, sand, and more is principal in finding your final beach spot. You will want a cart that’ll aid you to get there. Our second pick is the Mac Sports utility wagon. With this being a wagon implies that it’s much wider, longer, and lower than a regular cart. In return, it makes it a little steadier on the sand because it will not tip. The wheels also have a firmer hold on the sandy surface. It’s easily loaded and unloaded compared to a tall cart. It’ll be much easier to search your things without having to pull everything out to get to stuff at the bottom. However, this does mean that you’ll have to secure your items better for them not to tip over. The wagon can also carry more load than your average cart, being able to hold up to 150 lbs. With this weight capacity, you’d expect the Mac Sports wagon to be large, but that isn’t the case. This cart has 32.66” x 19.67” x 20.07 dimensions of storage space, and carries up to 150 lbs. of different items. It can even carry up to 7 beach chairs and includes a sunshade holder. The sturdy black powder coated steel frame makes the item very durable and useful for a very long period of time. The JGR Copa people surely know that they are doing, and they have proven it with their beach cart. 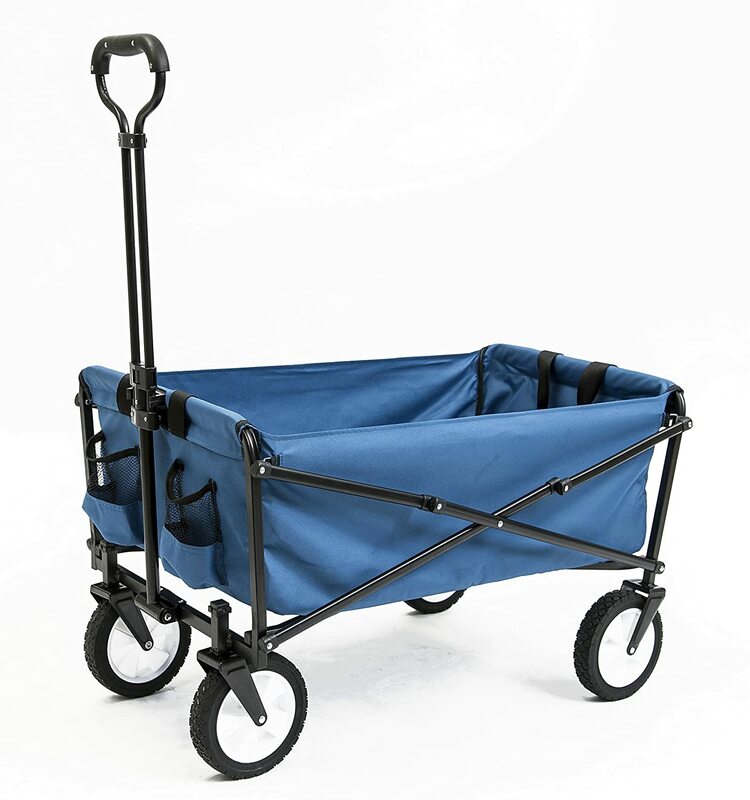 This cargo beach cart is durable, stable and totally great on sand. It’s extremely convenient and doesn’t take too much space once folded. The extra wide rear wheels provide plenty of traction on dirt, grass or sand, and the front wheels are great in terms of navigation and turning on solid surfaces. When it comes to accessories and space, this cart isn’t much different than the carts by Rio. It carries about a hundred pounds of weight and can hold up to 4 beach chairs on its front bar. Also, the cart contains a holster for sunshade. We’ll end our list with the TimberRidge Folding Collapsible Sturdy Steel Frame Beach wagon. This wagon is by TimberRidge is just terrific at what it does. 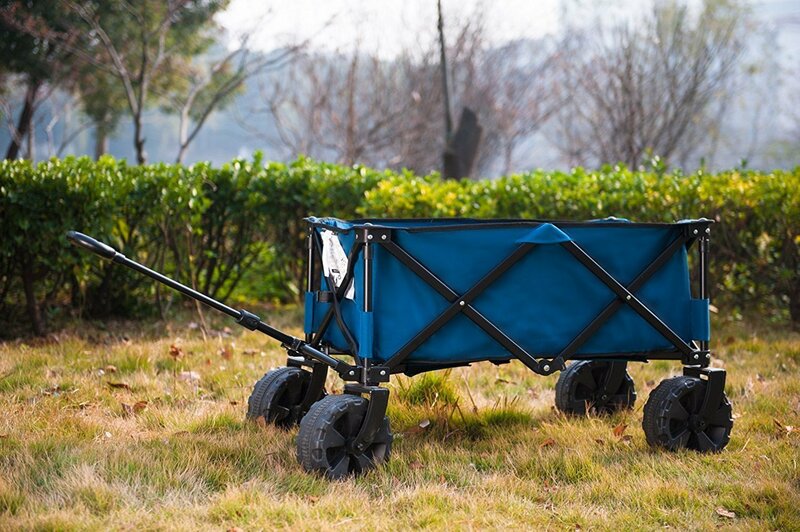 Its weight capacity and spaciousness are exactly what you require in a wagon.The wagon is lightweight. Its large wheels are guaranteed to keep it moving even in the roughest sand. Also, the wagon’s wheels were designed for better navigation on hard surfaces. 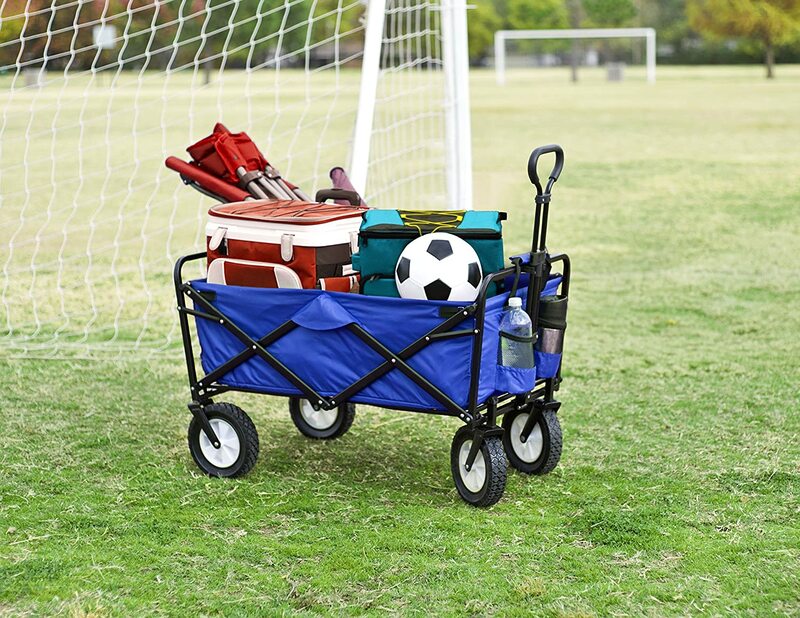 The wagon has abundant space for your Cooler, and it can be folded to become a cargo bag and also easy to carry. On the whole, the wagon holds 150 pounds of items in within a 35x19x37 inches. We will begin with this pleasing, spacious and light cart made by Rio Brands. We know that this brand of beach cart will roll on sand as we’ve tested it. These top-notch eight-inch wheels will roll on the shiftiest of surfaces without difficulty. The front wheels are smaller, and will not offer much assistance in terms of going over the sand, yet they will provide greater stability on solid surfaces such as tarmac. 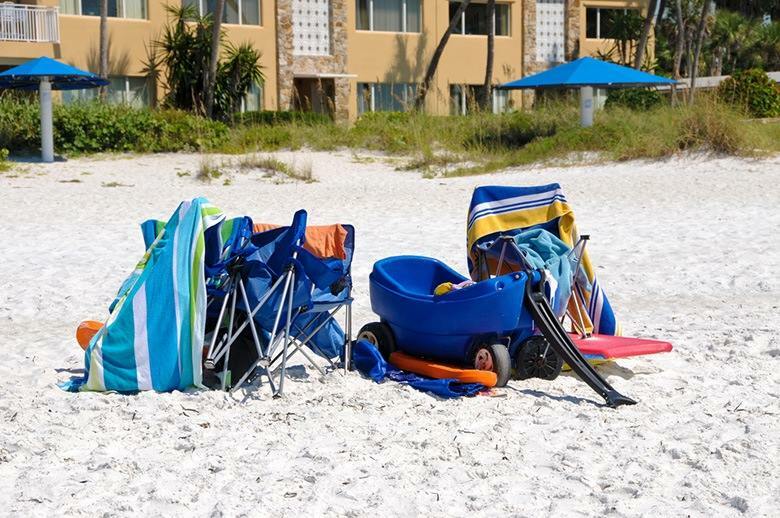 When hopping onto the sand, lean the beach cart backward and utilize the rear wheels’ width to walk through the beach. The cart holds 75 lbs. of weight, meaning you will be able to place a lot of things in there. 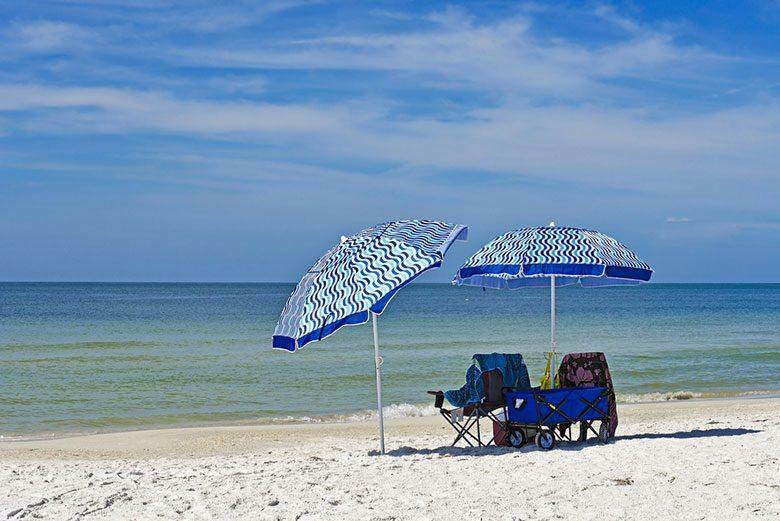 It can carry up to 4 beach chairs, as well as all the things essential for the beach. However, this beach wagon’s most important part is the 32-quart cooler created at the bottom that will keep your drinks cool and nice. Also, it’s made from durable materials, lasting for a long period. You asked yourself whether there’s a better way to set your beach stuff closer to water. You are not sold out to the idea of lifting and hauling chairs, towels, coolers and other stuff from the car and on the sand – not to mention the kids stuff including sunscreen, buckets, spades, swimming gears and other stuff. A strong and durable beach wagon will spare you with the trouble of bringing and transporting all the stuff in the beach and give you more quality time with the family. It’s the reason why we have the top 5 best beach wagon presented to you in this post. I hope you enjoyed this post. If you think there’s enough useful information in it, then don’t forget to share it with your friends. Which among the five best carts and wagons is your favorite? Feel free the share your choice and reasons in the comments.